This working model hydraulic/pneumatic jack shows how hydraulic or pneumatic systems can multiply forces. Four input cylinders permit varied mechanical advantage. Students can explore force, pressure, the difference in compressibility of gases compared to liquids, the operation of a pump, and more. 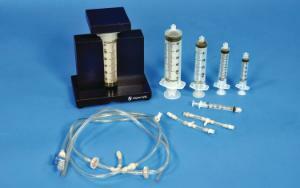 The set can also be used to demonstrate Boyle’s Law using air or other gases. 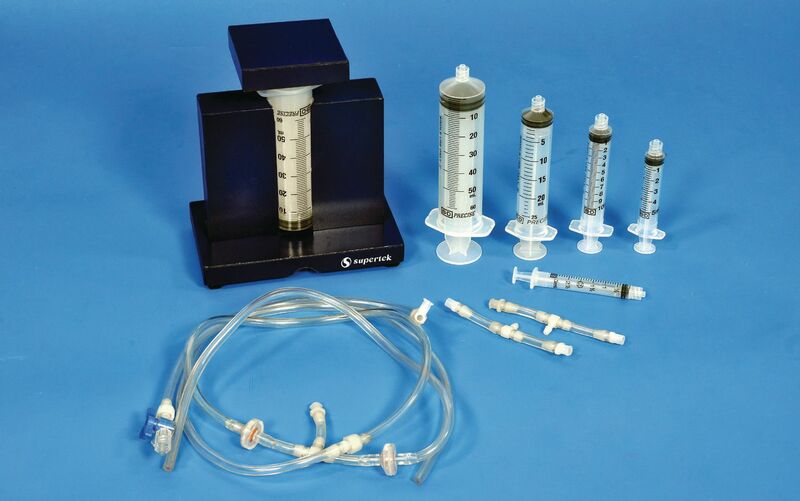 Ordering information: This kit includes a jack stand, plunger, 60 cc main syringe body, hose assembly with 2 one-way valves, tee and 2 quick-connect fittings, unattached tee, hose with 2 quick-connect fittings, unattached valve, hose with 1 quick-connect fitting, hose assembly with tee, and 4 smaller syringes (3 cc, 6 cc, 12 cc, 20 cc).